I am aching for summer. Counting down the seconds until the lazy schedule, daily swimming, and careless ice cream eating catches up with the already warm weather. These key lime pie ice cream sandwiches are not helping the situation. The are immediately going on the fun summer treats agenda. 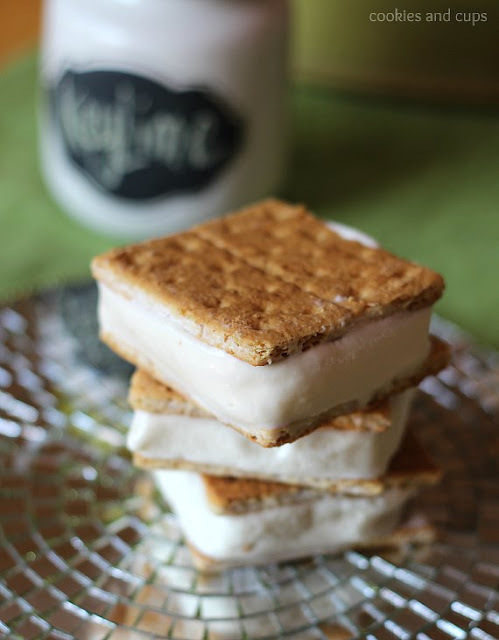 You can get the recipe for these homemade key lime pie ice cream sandwiches over at Cookies and Cups.